This post is intended only to draw attention to the sore lack of public transit available in the suburbs of Chicago. I fully support the expansion and further development of public transit. This post is not intended to offend the patrons of suburban public transit. 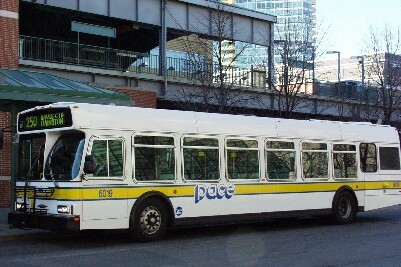 So, every couple weeks or so I see a giant bus labeled “Pace” drive around town. Usually there’s only one or two people riding this bus. It’s my guess that there’s some rich guy in DuPage county that owns this bus and decided to put his name on the side of the bus and have a chauffeur drive him around town. Mr. Pace is quite eccentric. Yes! You made the Mr. Pace bus post! I linked to it in my 7 Ideas on how to improve the Pace bus service. Mr. Pace is so hilarious.